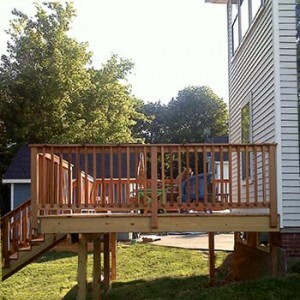 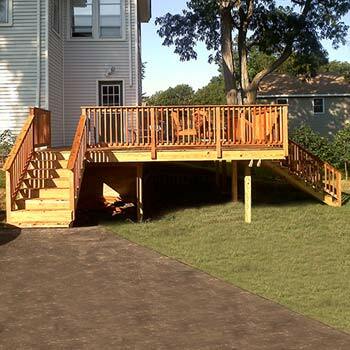 The Arsenaults wanted a deck off the back of their house where they could come home and relax. 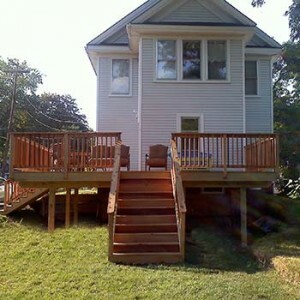 We worked with them to make sure all details were to their specifications prior to construction. 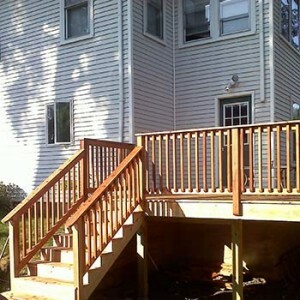 Even the little details so they could stain their deck boards prior to installation. Every time I see them, they comment, “We love our deck”.